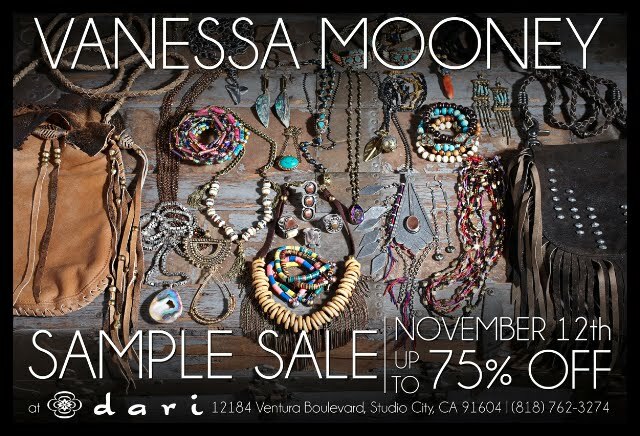 Everyone's favorite jewelry designer Vanessa Mooney is hosting a sample sale at L.A. shop Dari Boutique on November 12th from 11AM-6PM. 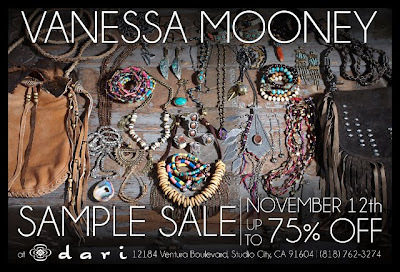 To celebrate, she'll also be hosting a Flash Sale on vanessamooney.com, with specially-chosen items at 60-75% discount with the same timing! !